McEachern leaps La Lumiere for No. 1, while previous No. 9 Scott County and No. 11 Oak Hill Academy take tumbles. 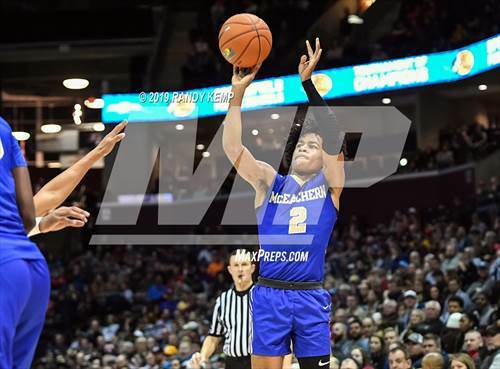 This week's Xcellent 25 rankings sees a new team sitting atop the rankings as McEachern (Powder Springs, Ga.) continued its incredible season with an 89-54 victory over East Coweta (Sharpsville, Ga.) in the opening round of the state tournament, while previous No. 1 La Lumiere (La Porte, Ind.) struggled to a 46-45 overtime win over Culver Academies (Culver, Ind.). While it's been virtually impossible to separate these two teams all season, the Indians regains the top spot for the first time since early January based on their consistent play throughout the season, a 6-0 record against Xcellent 25 opponents, event titles at the City of Palms Classic and Bass Pro Tournament of Champions and signature wins that continue to mount as they advance deeper into postseason play. 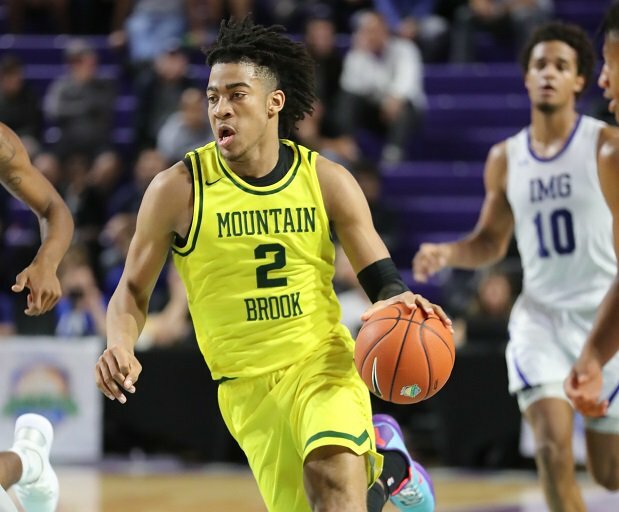 While McEachern has a narrow rankings edge over La Lumiere, the Indians and Lakers are truly 1A and 1B — as GEICO Nationals will determine a true national champion in April — as long as McEachern accepts an invite to the event. 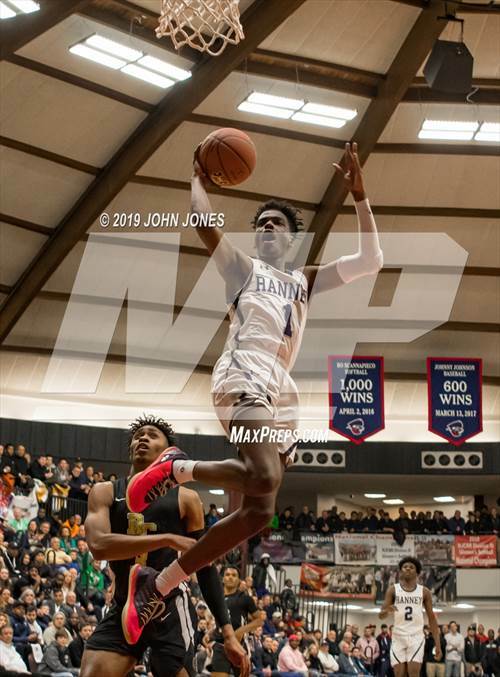 The 2018-19 high school basketball season has earned the billing of "The Year of the Upset" as the unexpected results continued to roll in last week when five Xcellent 25 teams were felled by unranked opponents. The most shocking happened to previous No. 9 Scott County (Georgetown, Ky.) and No. 11 Oak Hill Academy (Mouth of Wilson, Va.), as the Cardinals fell to Paul Laurence Dunbar (Lexington, Ky.) and the Warriors were defeated by Teays Valley Christian Prep (Scott Depot, W.Va.). Scott County took the biggest fall this week, plummeted 15 spots to No. 24 while Oak Hill Academy dropped 11 spots to No. 22. Read on for a complete look at this week's Top 25 boys high school basketball rankings. Dominated first-round state tournament game, blowing out East Coweta (Sharpsville) 89-54 behind 42 points from Player of the Year front-runner Sharife Cooper. The Indians jump back to the top for the first time since the beginning of January after the statement win. 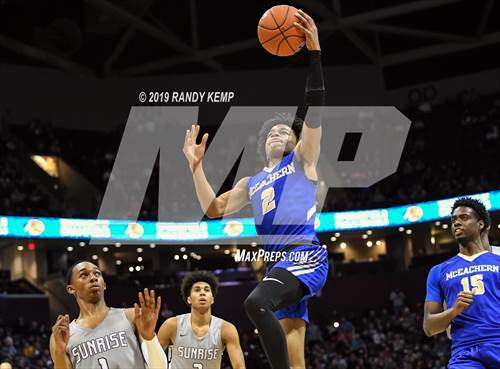 McEachern is 6-0 vs. Xcellent 25 opponents and captured tournament titles at the City of Palms and Bass Pro Tournament of Champions this season. The Lakers drop to No. 2 because McEachern's dominant play of late, paired with Lakers narrow 46-45 overtime win against Culver Academies (Culver). Though the Lakers drop, they will have the opportunity to regain their claim as the No. 1 team in the nation at the end of the year at GEICO Nationals — where a title solidifies a national championship. Completed regular season with a 10-2 record against teams featured in the Xcellent 25 at some point during the year, with both losses coming at the hands of No. 2 La Lumiere. The Eagles enter GEICO Nationals looking to repeat as event champions after winning their record fourth event title last season. Wrapped up regular season with just one loss, matching the success of the 2016-17 group. This Ascenders squad has the opportunity to be known as the greatest team in program history with first win at GEICO Nationals this season — a feat the 2016-17 group was unable to accomplish after they were upset in the first round by seven-seed Greensboro Day. Began CIF North Coast Division 3 play with two convincing wins, taking down Kennedy (Fremont) 72-18 before knocking off San Marin (Novato) 84-43. A semifinal showdown with St. Joseph Notre Dame (Alameda) is next as the Pride continue their journey for their first ever California Open Division state title. Opened quest for a third consecutive AHSAA Class 7A title with a 62-40 win over James Clemens (Madison). The Spartans continue the state tournament run Tuesday with a quarterfinal matchup against Vestavia Hills. The defending CIF Open Division state champions were the only team from the CIF Southern Section to finish pool play unbeaten, and face Bishop Montgomery (Torrance) in Saturday's Southern Section Open Division title game. Took down Morgan Park 65-60 in the Chicago Public League title game to capture the program's first Chicago Public League title, after their 2014 crown was stripped by the CPS. The Condors enter IHSA Class 4A state tournament play as favorites to capture their second state title in program history. 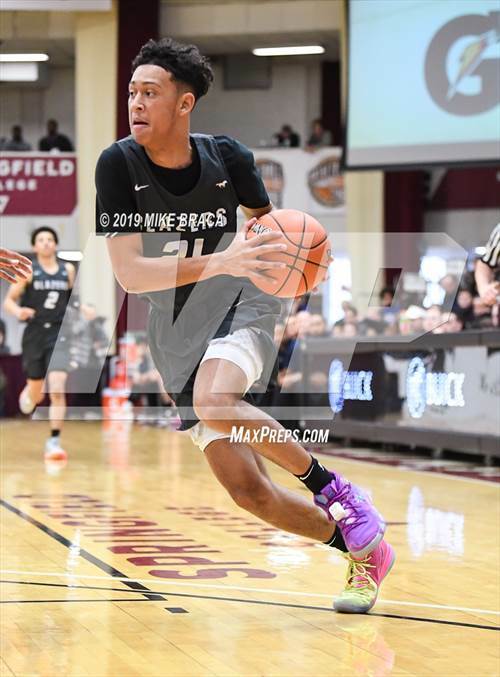 Had three close calls last week, escaping at St. John's (Washington, D.C.) with a 69-63 overtime win before taking down Bishop McNamara 61-59 and Archbishop Carroll (Washington, D.C.) 64-62. 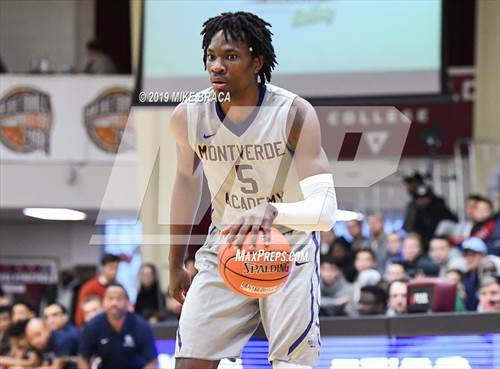 The Stags wrap up regular season play this week with Bishop O'Connell (Arlington, Va.) before beginning a grueling postseason run that includes the WCAC tournament, Maryland Private School state tournament and a trip to the Alhambra Invitational. Advance to the CIF Los Angeles City Section Open Division title game after knocking off George Washington Prep (Los Angeles) 84-74 in their semifinal showdown. The Lions face off against Westchester (Los Angeles) for the third time this season in the championship game after winning their previous two meetings. Finishes up regular season Thursday, taking on Cedarsburg. Expect the Knights to wrap up the regular season 18-0 against in-state competition after taking down Cedarsburg 86-37 in their previous meeting. Although the Eagles won't advance to the CIF Southern Section title game, they will still be considered serious contenders to capture the CIF Open Division state championship after finishing second in their pool. Rancho Christian secured crucial pool play wins over Etiwanda 61-49 and Rancho Verde (Moreno Valley) 54-51 last week. The Matadors battle Salpointe Catholic (Tucson) in Friday's AIA Class 4A state semifinals. Shadow Mountain seeks its fourth consecutive state title this weekend, which would strengthen their case for their third straight GEICO Nationals berth. After a week off, the Tigers wrap up regular season this week with a pair of in-state showdowns against Jordan (Sandy) and Kearns. The Tigers sit squarely on the bubble to make this year's GEICO Nationals behind a signature win over No. 15 Sunrise Christian Academy. According to this week's Xcellent 25 rankings, Sunrise Christian Academy would be the seven seed in the GEICO Nationals field if the season ended today. Although the Buffaloes have five losses on the season, signature wins over No. 16 University (Fort Lauderdale, Fla.), No. 20 Guyer (Denton, Texas), No. 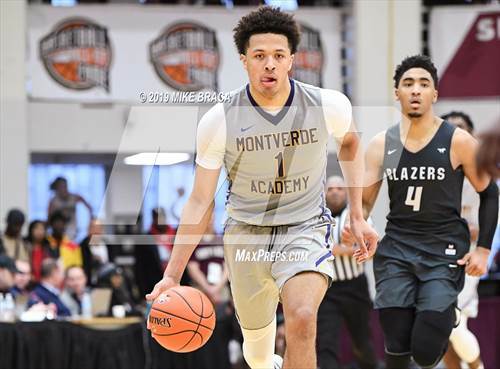 21 Imhotep Charter (Philadelphia), Findlay Prep (Henderson, Nev.), Memphis East (Memphis, Tenn.), Rainer Beach (Seattle) and Duncanville (Texas) bolster a strong resume. Begin quest for back-to-back FHSAA Class 5A state titles Thursday against Monsignor Pace (Miami) in their first game of state tournament action. A state championship would likely clinch a return trip to GEICO Nationals, where the Sharks finished runner-up last season. Advanced to the Shore Conference Tournament semifinals to face Freehold Township (Freehold) on Thursday. 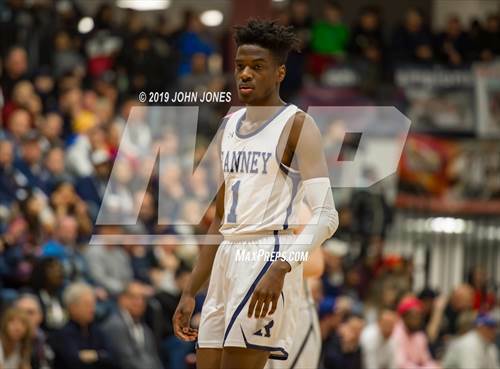 Ranney enters the New Jersey Tournament of Champions as favorites to win their first state crown. Captured the Class 4A Central/Southwest Bi-District championship behind a dominant second half performance from McDonald's All-American Jaden McDaniels, who scored 23 of his team-high 28 points in the second half of 73-67 win over Curtis (University Place). Defending OHSAA Division I state champions capped off a perfect regular season with a 63-27 win over St. Xavier (Cincinnati) to stretch winning streak to 41 consecutive games dating back to last season. Begins journey to capture one of the most challenging state tournament brackets to win this week when they face MacArthur (Irving) on Monday in their first round matchup of the UIL Class 6A state tournament. Jumps back into the rankings after a number of shake-ups in this week's Xcellent 25. The Panthers face off against Math Civics & Sciences (Philadelphia) on Tuesday in the Philadelphia Public League semifinals. 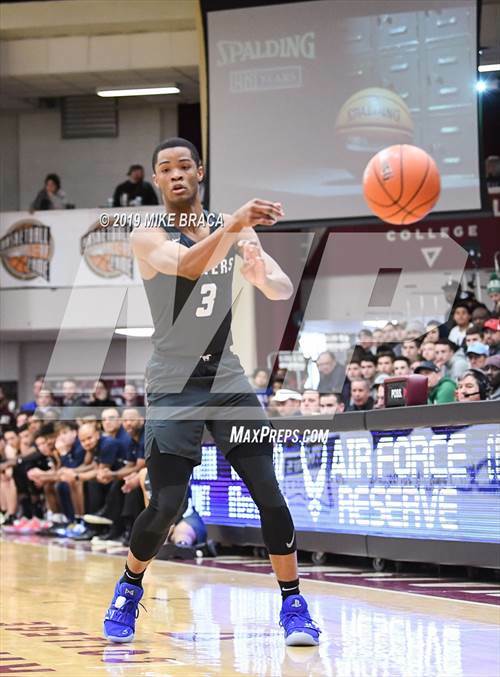 The perennial power is in serious dangerous of missing GEICO Nationals after suffering a shocking 80-72 defeat to Teays Valley Christian Prep (Scott Depot, W.Va.) over the weekend at the FCA Prep Showcase. The Warriors haven't fared well against quality opponents this season, going 0-3 against Xcellent 25 opponents. The Greyhounds avenged their 2017-18 state title game defeat last week with a statement 69-52 victory over previous No. 16 Warren Central (Indianapolis) in a monster showdown for Hoosier State supremacy. Suffered a stunning 91-84 defeat last week to Paul Laurence Dunbar (Lexington) in their regular-season finale. The Cardinals still enter postseason play as the favorites to capture the KHSAA Sweet 16 state championship. Wrapped up the regular season unbeaten against in-state opponents, outscoring them by an eye-popping 37.8 points per contest. The Falcons loss came to against their only out-of-state opponent of the season, falling 63-58 to No. 17 Ranney in the John Wall Holiday Invitational title game.